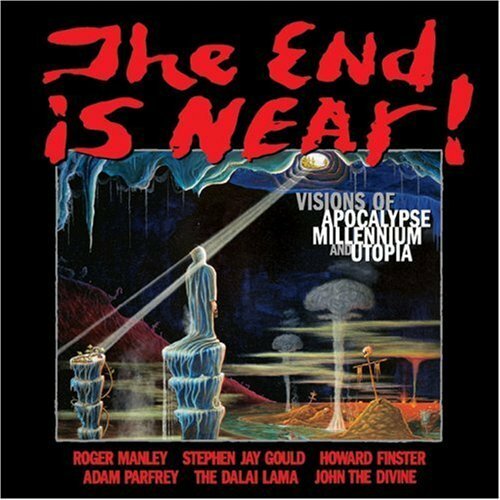 Originally a landmark exhibition at the trailblazing American Visionary Art Museum in Baltimore, The End Is Near! presents the largest collection of visionary art ever assembled on the subjects of apocalypse, millennium, and utopia. Alongside these powerful, challenging, and at times obsessively elaborate works of art, The End is Near! presents some of the most provocative and innovative minds of our time probing the mysteries of the coming age, and the end of the world. Harvard scientist Stephen Jay Gould, Georgia’s famous visionary evangelist Reverend Howard Finster, Apocalypse culture expert Adam Parfrey, and Nobel Prize recipient His Holiness the Dalai Lama join curator Roger Manley and dozens of gifted, world-renowned visionary artists in the quest for ultimate knowledge. The End is Near! reveals a strong spiritual kinship between these brilliant minds of today and major luminaries of the past like Hieronymus Bosch, William Blake and Emmanuel Swedenborg. It hints at shared understandings between self-taught contemporary visionaries and such ancient prophetic traditions found in Classical Greece, Aboriginal Australia and the seers of the Holy Scriptures. Included in The End is Near! is the entire Revelation of St. John the Divine, perhaps the most influential and widely referenced–yet rarely read–work on the ultimate fate of humanity and the universe. The End is Near! should become compulsory reading for anyone intrigued by the mysteries, depths, and triumphs of the human spirit. Roger Manley’s books, screenplays, photographs, and curatorial endeavors have earned him a world-class reputation, particularly in the field of outsider art. He is the author of several books and director of the recent feature documentary MANA: Beyond Belief, which won the C.I.N.E. Golden Eagle in 2005.